No major updates this week. I just hope all of you are brewing some awesome beer for all of the upcoming events! Ive seen a few of you post pictures of your brew day’s for Bite at the Beach on various social media accounts which is really awesome to see. Bring along some rare beers that you have been holding onto along with your appetite for some of the best pizzas around. We are still waiting on some logos from our sponsors before I can submit the artwork to our T-Shirt screenprinters. As soon as we get the last few in I will place the order and have the shirts at the following meeting. Spots are still available. You still have a few weeks to brew a beer for this and participate in the event. Shoot us an email at board [at] pacificgravity.com to signup. If your name isnt on the list at the bottom of this post we did not receive your email (or i screwed up and forgot to notate it on my list). Just send me a reminder and shame me for poor organization. The brew day has officially been set – we are going to head up to Paso Robles and brew up a batch of beer on 10/31/2015. The brew will be at 8:00am at the Paso Brewery and will be followed by the 19th Anniversary party that evening. If you signed up at the club meeting for events – thank you. I am using that list as a tentative head count to provide FW with an idea of how many people will be attending. If you were not in attendance that does NOT mean that you are missing out. It just means that my head count is missing you. Shoot me an email at president [at] pacificgravity.com to let me know if you will be able to attend the brew and the 19th anniversary party and if you will need a hotel room for Friday and Saturday night. We are NOT chartering a bus for this trip. Many of you have expressed interest in making the trip a full weekender and I know some of you cannot make it for more than the brew itself. You will be responsible for getting yourself to Paso for the brew. The club WILL be locking down a block of rooms in Paso at one or two hotels. Come up with a list of historically important beers brewed by Pacific Gravity club members. The idea was to build off of a recipe from one of our homebrewers that we all look forward to drinking at club meetings. Like Carl’s harvest ale, Rives’ sour quad, Craig Corley’s Belgian (fill in the blank), etc. A Belgian styled beer because FW doesnt have a huge history of brewing belgian beers and it would tie in with our Belgian Brew Challenge. Anything barrel aged. FW makes some of the best barrel aged beers – it would be cool to be a part of one. 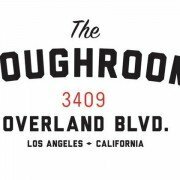 Hold an in house homebrew competition (using one style) and having judges choose the best beer. We wrapped up our first LABBC. There were a total of 95 entries into the competition and the results were absolutely DOMINATED by Pacific Gravity homebrewers. Thank you to everyone who submitted beers and helped PG have a good showing in our inaugural comp. Kingsley and I won BOS – thanks to everyone who offered their congrats. Scoresheets have been emailed out to all participants. If you entered a beer and have not received an email from us email labbc [at] pacificgravity.com and we will send you a link with your entry numbers. Ribbons will go out sometime soon to those of you who were not in attendance. T-Shirts – We will order T-Shirts next week and should have them ready for April’s club meeting. We had a sign up sheet at the judging day and at the club meeting. Volunteers (staff, stewards and Judges) receive free shirts. If you signed up for a shirt at the club meeting the price per shirt will be somewhere between $15-$20. We will have our pay pal setup at the next club meeting for you to pay for your shirts. 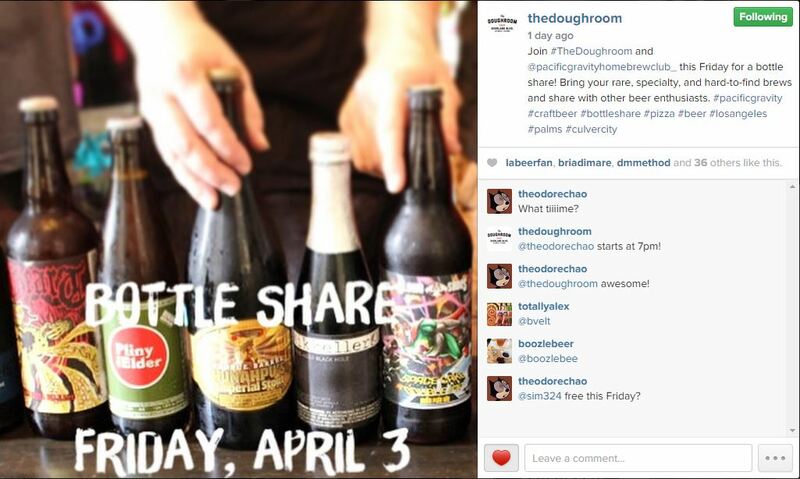 Reminder that next month’s first friday is at the Doughroom in Culver City/Palms and is a bottle share. Bring out some special beers and lets pack that place out. Membership dues are due now. Just a friendly FYI.